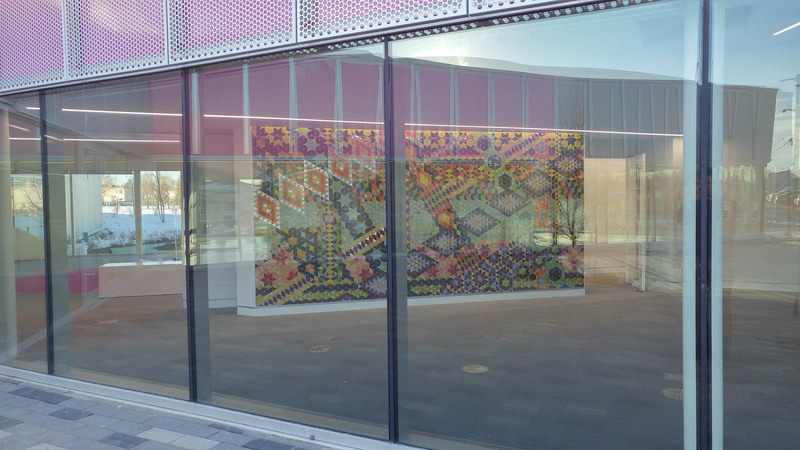 The Calder Community Mosaic was designed to fit the entire wall of the Community Room, just inside the main entrance of the new Calder Branch Library by MBAC Architects. 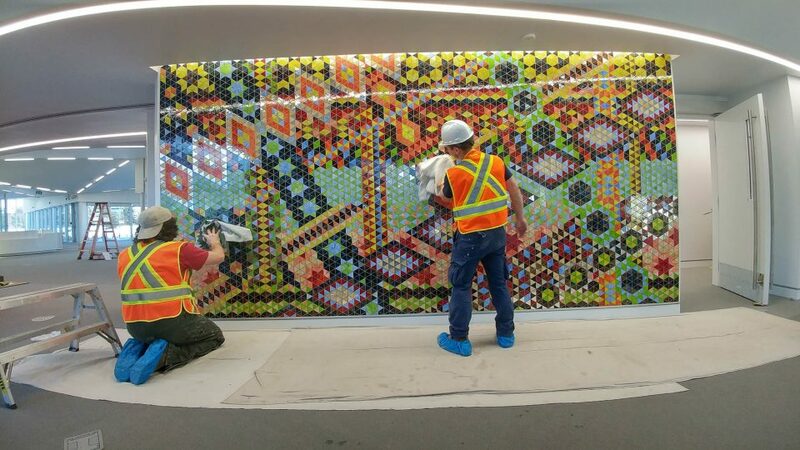 Illuminated by special lighting above the artwork and also open to the daylight through the floor-to-ceiling windows that wrap around almost the entire exterior of the LEED® Silver building, the mosaic is clearly visible from the street and library forecourt. After a year and a half of preparation, the Calder Community Mosaic was given a final wipe, polish and an inspection and then it was finished! 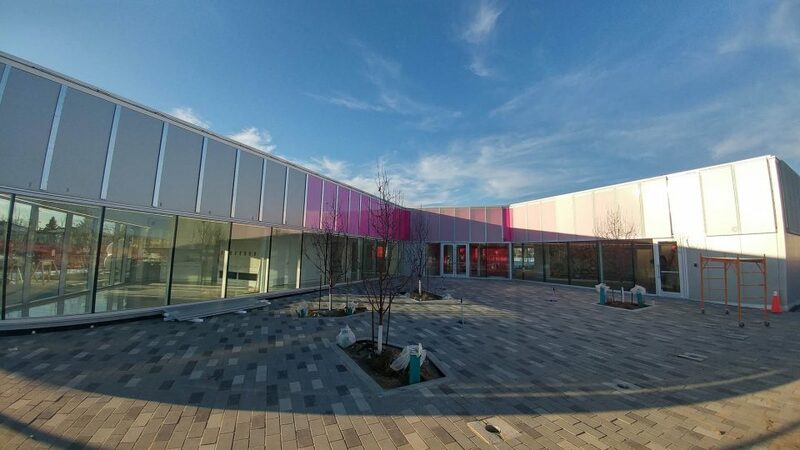 In the first weeks of 2018 the Edmonton Public Library will take occupancy of their newest branch and complete their fit out of the space. Stay tuned for an official opening date in the New Year! Our thanks to Craig Lemiski from Ellis Don for keeping us all safe on his construction site. His team has done a great job building the new library and it will be a public space that the whole community will be proud of. We also would like to thank the support and assistance from Robert Harpin, Andrea Bowes and Eva Marie Clarke from the Edmonton Arts Council.